As you may have heard, I will be moving to the pastures of Oregon. Bend, Oregon, to be exact. 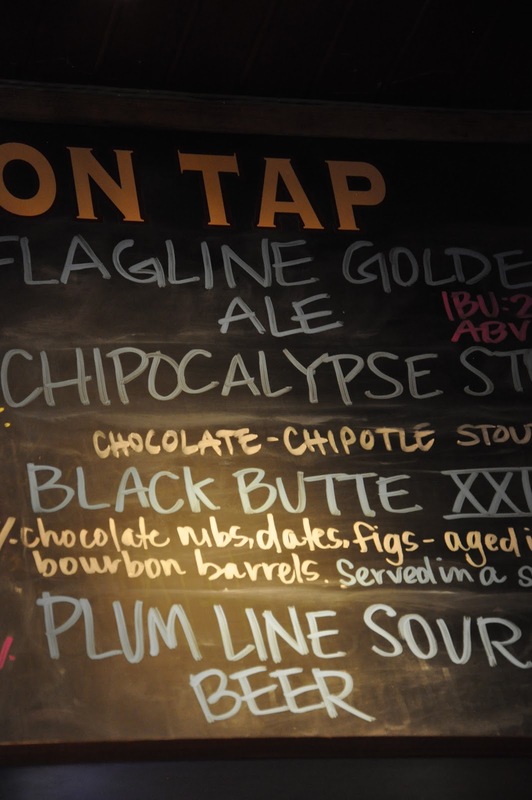 I had the opportunity to visit some of the more popular Bend breweries during a recent fall trip. Here are a few of the highlights that may persuade a few of you to come visit me this summer. Enjoy! First stop: Boneyard Brewery. Hey look, a mobile bar! 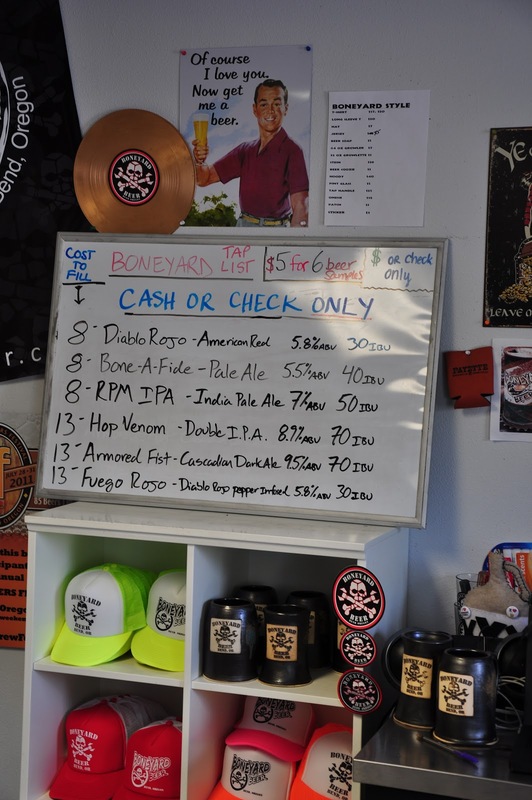 Boneyard is creating quite a buzz with their RPM IPA and Hop Venom double IPA. They are very delicious and soon to be my go to IPAs. Next stop: 10 Barrel Brewing. Hey look, another mobile bar! I had an IPA served by a fellow bearded gentleman. Pretty tasty! They have a few bottles you can purchase. I quickly made friends with the server, Matt. I got a full sample tray, super tasty beers. Larry’s first grain mill that he still uses today. Larry’s hop garden in front of the brewery. Pretty good growth for 1st year hops! Crux’s brewing equipment, purchased from a brewery in Japan, is on display for the loyal customers. They had about 10 beers on tap, most of which were variations of pales and IPAs. All were excellent! I met some interesting people including this gal who does body painting. German brewing equipment. Very impressive. Deschutes Brewery Taproom had some pretty awesome beers including a plum sour. I met Arthur from San Diego who was doing a pretty epic road trip. A couple days later he was in Colorado Springs, and I was able to hook him up with a place to stay with my friend, Aly.